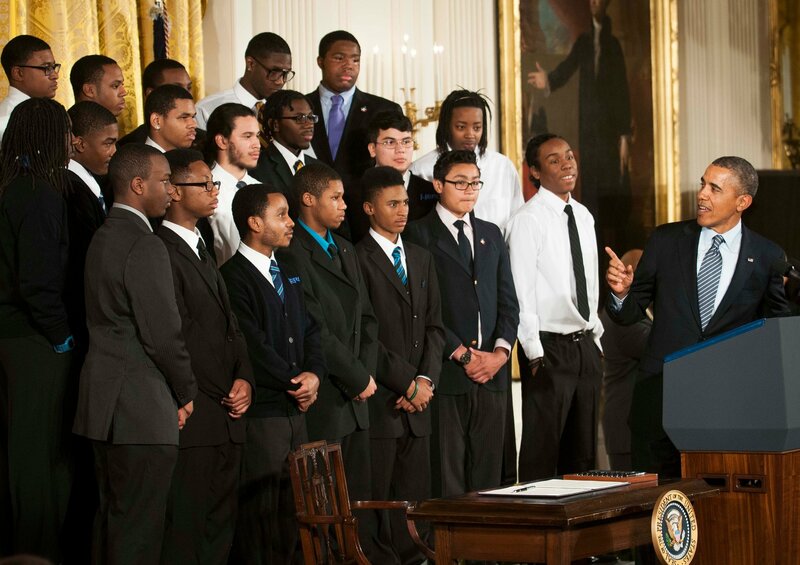 Yesterday President Obama introduced My Brother’s Keeper in a press conference at the White House. A new initiative to help every boy and young man of color who is willing to do the hard work to get ahead. For decades, opportunity has lagged behind for boys and young men of color. The idea for My Brother’s Keeper came to him after the killing of Trayvon Martin, a Florida teen whose death sparked an even bigger divide of race and in this country. As I read more about My Brother’s Keeper, it really touched my heart because I have two sons. I know as a parent of two African-American men, I will have to raise them and teach them things about the country they live in that other races do not have to deal with. It’s disheartening. Honestly, I am surprised that President Obama is doing something like this while in office. BUT, I am also overjoyed. I think it took a lot for him to take a stand for African-American men and make them a priority while in office, but I am so happy that he sees the need and steps up to the plate. Data shows that boys and young men of color, regardless of socio-economic background, are disproportionately at risk throughout the journey from their youngest years to college and career. What I would tell my 17 year old self – What would you say? It’s about time, but I totally get it. He had to get that second term first before he could really do what he wants in office. Kudos to him, and Michelle. I totally agree. My husband and I said the same thing! Yes, I am super excited to see how this unfolds. Appreciate the President making this stand. What a great way to take something so sad and turn it into a positive!